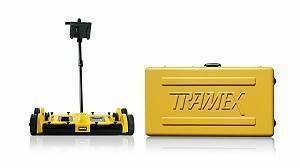 The Tramex Dec Scanner is a mobile non-destructive impedance scanner designed for the instant surveying of moisture conditions in roofing and waterproofing systems per ASTM D7954. Ideal for water leak detection in roofing materials and integrity testing. The Dec Scanner detects and evaluates the moisture conditions within roofing systems by non-destructively measuring the electrical impedance. A low frequency electronic signal is generated, transmitted into the material under test via one of the two electrodes incorporated in the rubber electrode mat, and received by the second electrode. 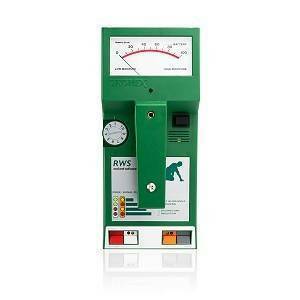 The strength of this signal varies in proportion to the amount of moisture in the material under test. 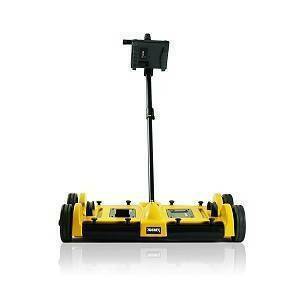 The Dec Scanner determines the strength of the current and converts this to a comparative moisture content value. By moving the Dec Scanner across a roof surface in a regular pattern, a continuous reading is obtained, and areas that contain moisture can be readily identified. 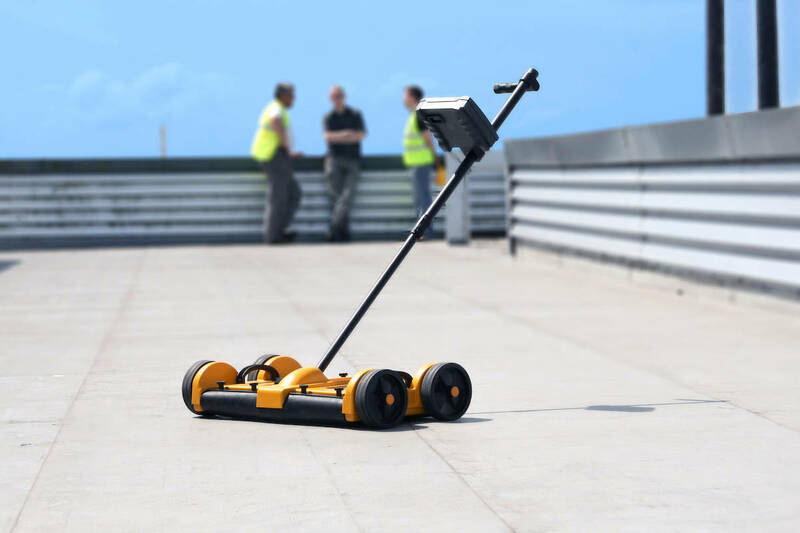 Moisture detection testing can be done at the time of installation for warranty auditing and quality control, as part of an ongoing maintenance program, or prior to re-roofing or repair of damaged roofs. 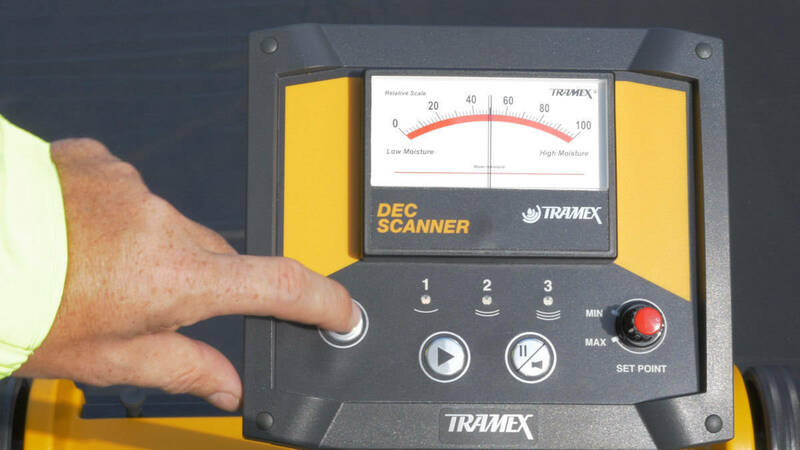 The Dec Scanner is a durable but lightweight instrument that is easily transported to the roof surface. Having determined a known acceptably dry area, one of three sensitivity ranges is selected, and the Dec Scanner is ready to use. 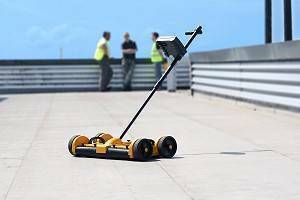 Without causing any damage to the roof surface, the Dec Scanner is moved over the tested area. The Dec Scanner gives continuous moisture condition readings, from which a moisture map of the surface can be drawn up, and leaks traced to their source. 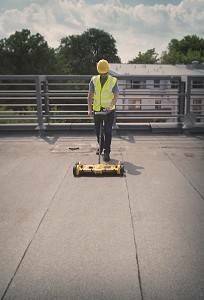 Limitations: Some EPDM, Butyl rubber roofing and other conductive roofing. Range 1 - Most suitable for single-ply and thin roof coverings such as PVC, Hypalon and other smooth surfaces where insulation is wet and moisture is close to the surface. 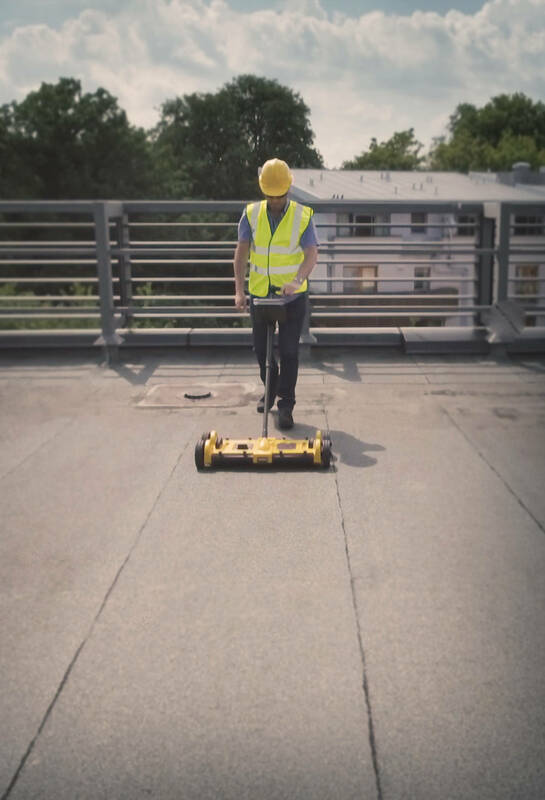 Range 2 - Most suitable for multi-ply built-up and modified systems, mineral surfaced felts, and other smooth or gravel surfaces where insulation is less wet and moisture is below the surface. 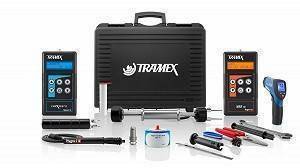 The Roof Master Kit is the complete kit for the roofing professional, allowing for continuous and point-of-contact, non-destructive surveying of moisture conditions in roofing and waterproofing systems up to 6 inches in depth, as well as non-destructive measurement of moisture conditions in concrete decks, wood decks and ambient relative humidity & dew-point conditions. Instant and non-destructive moisture content tests per international standard ASTM F2659 with the CMEX II, a digital version of the CME4 handheld electronic moisture meter, designed for the instant and precise measurement of moisture content in concrete slabs, featuring Carbide Method equivalent scales for concrete and anhydrite screeds and giving comparative readings in other cementitious floor screeds. 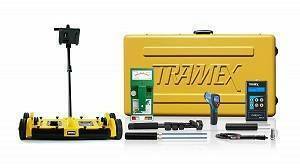 The ultimate Tramex kit for pre- & post-application moisture testing of concrete and other floor screeds, wood and wood-based products. 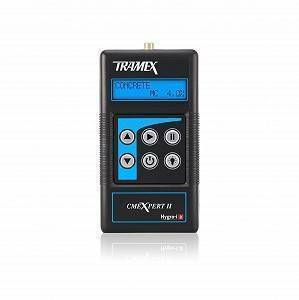 Featuring the Tramex CMEX II digital concrete moisture meter for testing per international standard ASTM F2659. 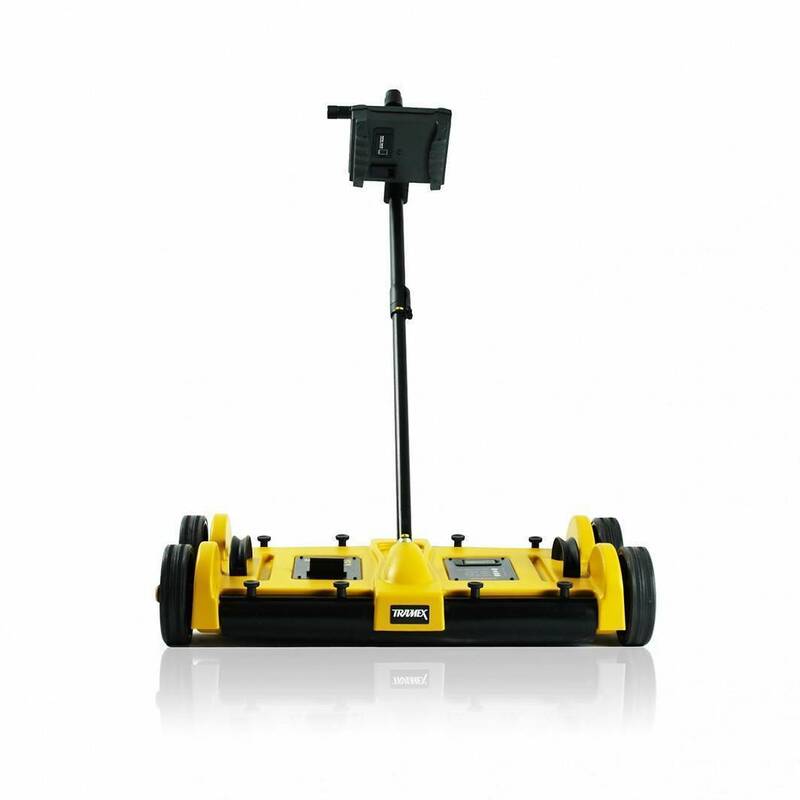 The best in class, reusable Hygro-i2 ® relative humidity probes allow for testing relative humidity, temperature and dew point in the environment, or performing in situ and hood testing (with optional hood) of relative humidity in concrete slabs to international standards BS 8201, 8203, 5325 and ASTM F2170.